Make a milkshake by blowing bubbles in milk (plus flavourings) to make a foam. 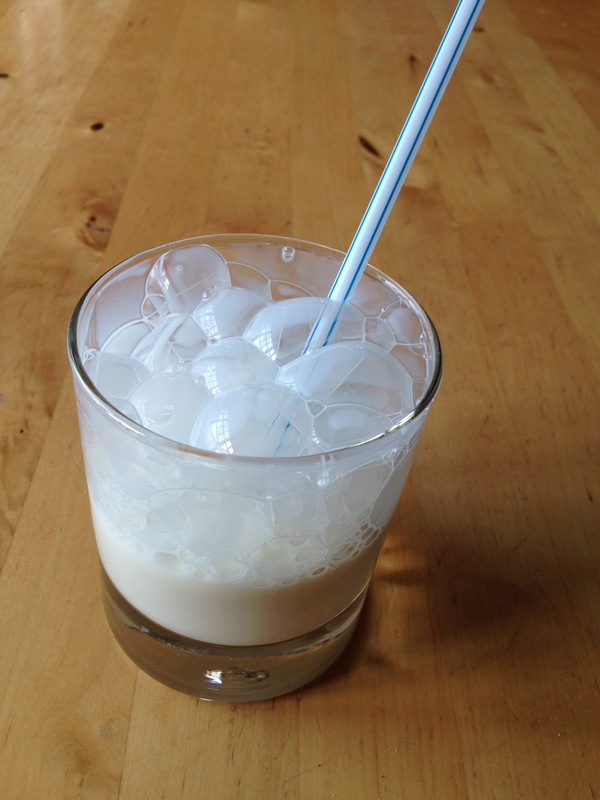 Make a foam drink, by adding air bubbles to milk. Give students a cup of milk and a straw (and a squirt of flavouring). Ask them to blow bubbles in their drink to make foam, then drink their "milkshake". The bubbles are air blown into the drink, which are stabilized by components in milk. The foam is a kind of mixture called a colloid. See the attachment for other kinds of colloids and mixtures.